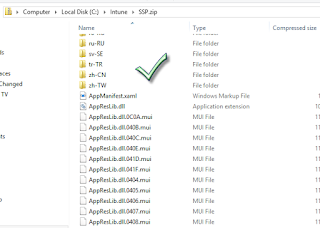 I've been holding off posting the next part in my series of posts on Windows Intune and the new integration capabilities found in System Center 2012 SP1 Configuration Manager, specifically the Windows Phone 8 management setup due to a small problem I encountered. I tried re-signing, re-uploading and other things, all to no avail. I finally caved in and rang Intune Support. 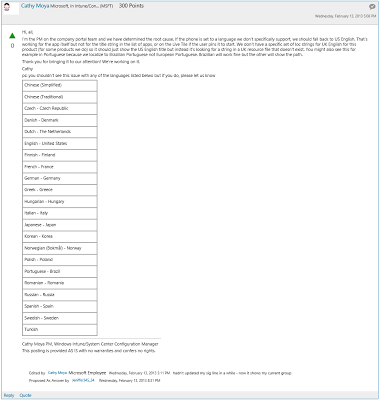 After stepping through all the procedures again with the same results, the Intune support team went away to investigate further with the product team. They came back to me asking what language my phone was running (English[UK]) and if I could try changing it to English[US] which I did. This immediately changed the name of the app to it's correct name of Company Portal. It transpires there is a problem with the company portal app not falling back to English[US] for the app title as there is no direct support for the English[UK] language. Other parts of the app work fine and fall back to English[US], just not the app title. There is a reply on there from Cathy Moya explaining that they're aware and looking into the issue. It's nice to see Microsoft take such a quick action (Only a couple of days after logging the issue) to acknowledge there's a problem and to start looking to resolve it. 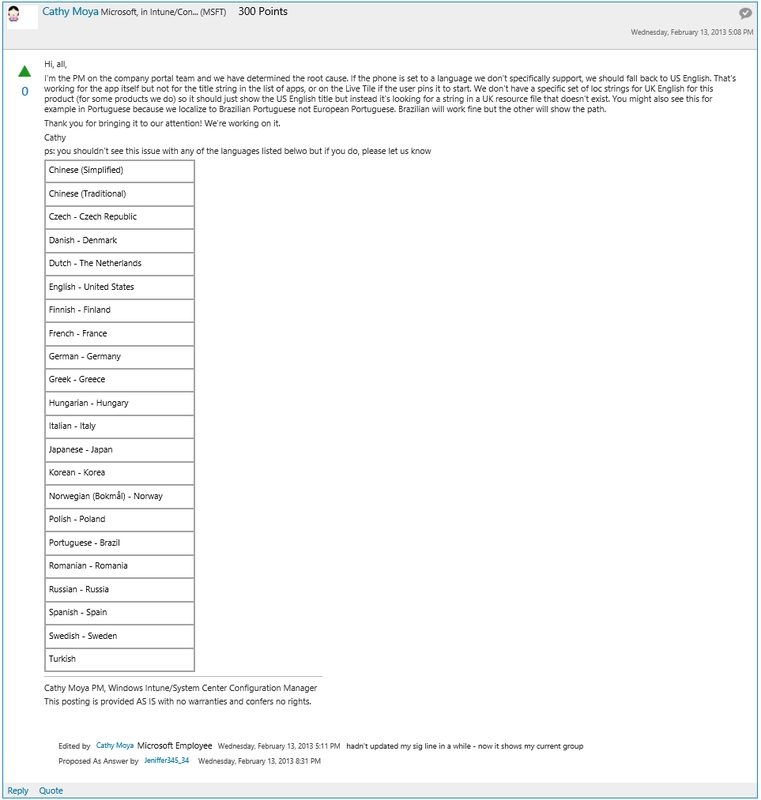 I would also like to say a special thanks to Jon Lynn who picked up this call and is constantly trawling the forums to give people advice and help. If for some reason you really can't wait for MS to release an updated/fixed Company Portal app, I do have a workaround hack however. Just please note that this is not supported, disables all Multi-Language capabilities for the title display of the app and could have other impacts that I don't know about. So on your own head be it. This is unsupported by myself and probably Microsoft, do your own testing and accept the risks or don't use. 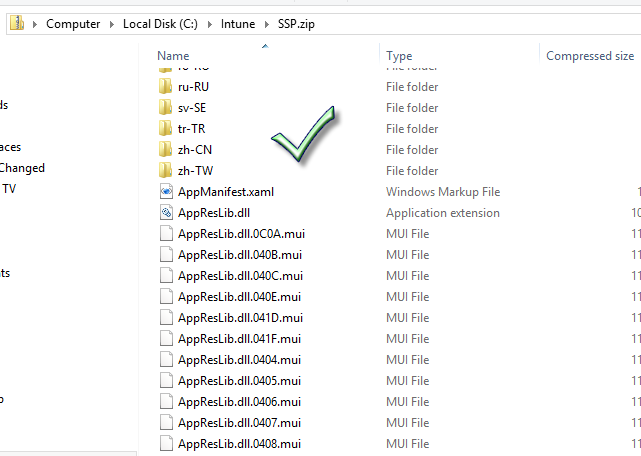 Run the MSI installer, accepting the defaults. 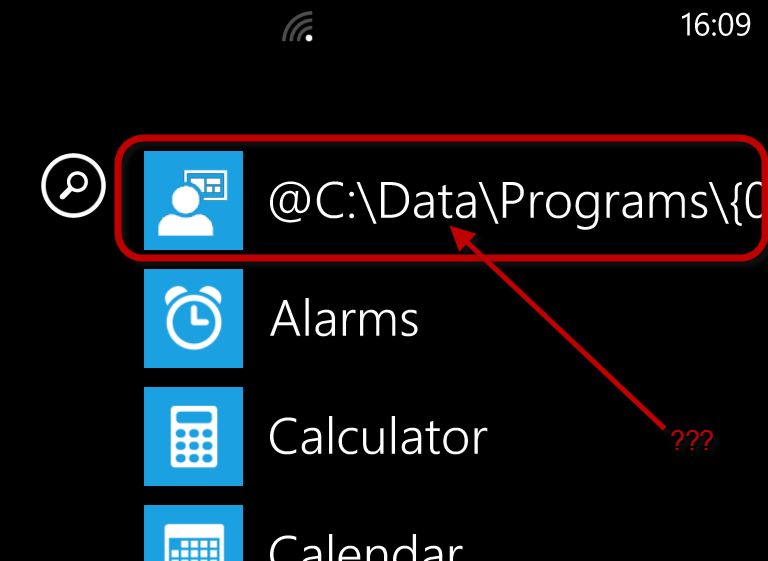 Locate the text that reads Title="@AppResLib.dll,-100 and change it to reflect the friendly name you want your customers to see the Company Portal app displayed as on their Windows Phone 8 devices. There is also a section under <Tokens> that also has a Title block that is worth changing to the same text as was used above. Recompress the files into a zip folder, being careful to ensure the files are in the root of the zip, not in a sub folder. Good find. 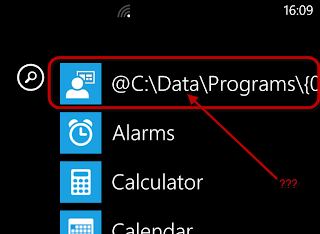 I was wondering why I was seeing the weird name on a Physical Nokia Lumia but not on the Emulator.